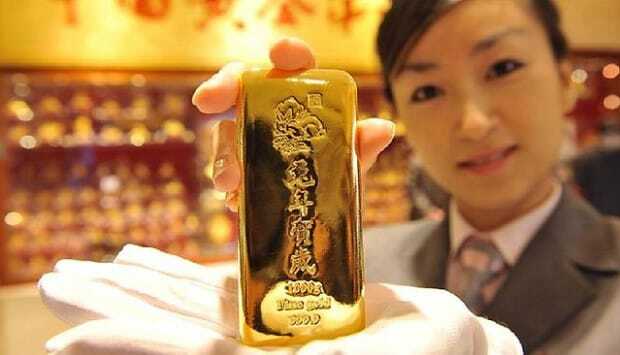 China has already overtaken India as the biggest importer of gold. Malca-Amit Global Ltd, a Chinese logistics and supply chain company, opened a massive 2,000 ton vault for storage of gold in Shanghai just this month. Chinese company Fosun recently purchased One Chase Manhattan Plaza, which houses the largest gold vault in the world. This helpful infographic shows the development of the gold market in China since the 1930s. Put all of this together and it’s clear: When China updates its official reserve numbers around April 2014, precious metals experts are bracing for an astounding jump from the current 1,054 metric tons that are currently on the books. Whatever China is doing with gold, it’s doing it in secret or with as little fanfare as possible. Why? We can only speculate, but one theory is that they simply want to acquire as much of it as cheaply as possible, and they know that any accurate report of their massive demand could send prices soaring upward. A second (and perhaps most plausible) theory for why China is acquiring gold in secret is that when they look at the dollar policy of the United States, they see the financial writing on the wall. They see the crucial need to diversify out of dollar assets and into something that can’t be inflated away by economically illiterate bureaucrats at the Federal Reserve and their political cronies. They’ve done the math and they know the dollar’s days as world reserve currency are numbered. They may or may not want to position the yuan to take the dollar’s place, but they do know things are about to change, and when they do, he who holds the gold will make the rules. They don’t want to be caught holding nothing but paper – and especially our paper. Just as the Great Wall of China was built to defend against invading Mongols, the Great Vaults of China are being built to defend against invading dollars. You can have this protection too. Take wisdom from the Chinese and build a wall around your assets. In that nation alone, there are a reported 4.5 million gold savings accounts. It’s times like these that you should consider one too. Year-to-date consumer demand from the east is 2,167 tons. The west makes up a meager 402 tons of demand; not even one-fifth of eastern demand.